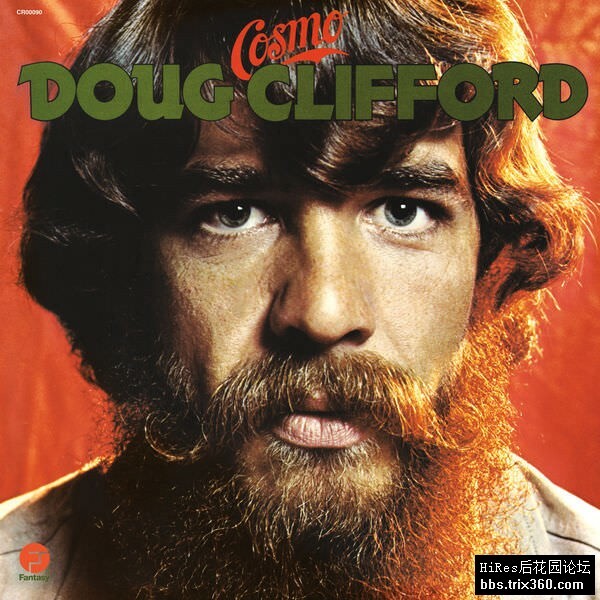 Originally released in 1972, Cosmo – the only solo effort from Creedence Clearwater Revival’s drummer Doug “Cosmo” Clifford – was recorded not long after the breakup of the legendary Bay Area band. Encompassing elements of country and R&B, plus plenty of up-tempo hooks. The album features CCR’s bassist Stu Cook on rhythm guitar, legendary sideman and Stax session musician Donald “Duck” Dunn on bass, plus members of Tower of Power on horns. Available for the first time in 45 years, the album is newly remastered by Clifford. An essential addition to every CCR or Grateful Dead aficionado’s record collection. Creedence Clearwater Revival drummer Doug Clifford would stick with his bandmate Stu Cook long after the band fragmented and dissolved, and Doug makes an appearance on this interesting release. But as Doug and Stu’s Creedence Clearwater Revisited doesn’t perform the music from Cosmo in concert, what the listener finds is a competent artifact from the end of the Creedence era, a competent but not very compelling voice covering Doug Sahm’s “She’s About a Mover,” John Sebastian’s “Daydream,” and the Spencer Davis Group hit written by Jimmy Miller and Steve Winwood (with Davis getting added to the copyright after the fact for throwing in that great chord that breaks the riff up). The eight other songs on this 11-track outing are composed by the drummer, and they aren’t bad. But they also prove why being adequate is much different from being great, and why John Fogerty steered the ship. Thirty years after the group disbanded, Doug “Cosmo” Clifford and Stu Cook are still performing Fogerty’s material. The addition of Donald “Duck” Dunn on bass and Tower of Power on horns while they were just starting to get hot is a plus. Tower sound great on “Get Your Raise,” and had Clifford issue about ten of these albums on Fantasy instead of one, he may have developed a Doug Kershaw- or Rusty Kershaw-type following. There’s some neat instrumentation on the upbeat cover of the Lovin’ Spoonful, but nothing extraordinary here. “Take a Train” like much of the music on Cosmo plays like a throwback to a different time. It’s R&B with a country flair, and would fit into a movie soundtrack nicely enough. The difference between solo recordings by ex-members of mainstream artists like Creedence Clearwater and left field groups like Roxy Music and the Velvet Underground is the difference between music you purchase to cherish and records you pick up to complete your collection. For what it is, Cosmo is better than what you’d expect, but not as good as it could have been. Photography is by Bob Fogerty.